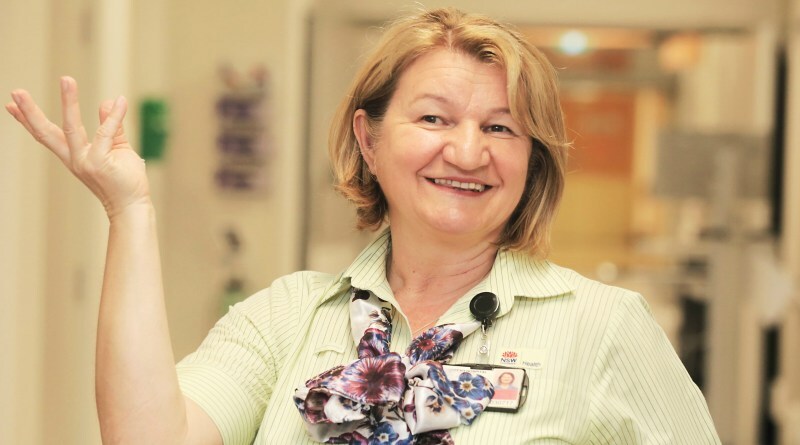 Westmead Hospital’s happiest cleaner Ljubica Simic has had her dancing moves broadcast across the country on channel 9’s Today Show this morning. Ms Simic was nominated by a patient’s family for an Australia Day Award recently for her uplifting personality towards patients at the hospital. She rose to fame after a Western Sydney Local Health District video of the cheerful cleaner salsa dancing with a cerebral palsy patient went viral. Ljubica takes great pleasure in going above and beyond for her patients. Check out the Today Show story and see how Ljubica spreads happiness with her daily dose of dance therapy! Ljubica cheered up cerebral palsy patient Andrew Tabakovic at Westmead Hospital recently. A video of the two salsa dancing went viral.